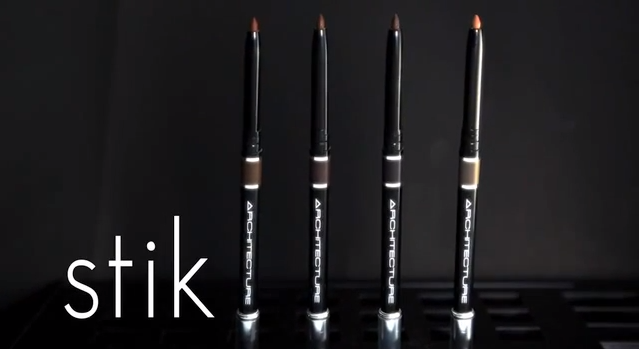 A featured product of Studio Brow’s exclusive cosmetics line, Stik isn’t your ordinary eyebrow pencil. Coming in many shades, Stik accommodates wearers by the color of their hair and skin tone. Colors include Light, Medium and Dark Brown, Taupe and Black. Eyebrows are our specialty and Stik helps exemplify that when you throw on a shade. We always go above and beyond for our friends and this Valentines Day will be no exception. We want to wish you the best day ever for you and your lover. From all of us to all of you, Happy Valentines Day! To all you lovely folks out there, get ready to get tinted! Every Tuesday people who join our featured membership program, $5 for an entire year, will save 30% on all eyebrow and eyelash tinting services. Book an appointment with any of our certified Browstars and try out lash tinting today! At every Studio Brow location customer service is the number one priority. The service of Eyebrow Threading has been practiced for centuries beginning in ancient Asia. 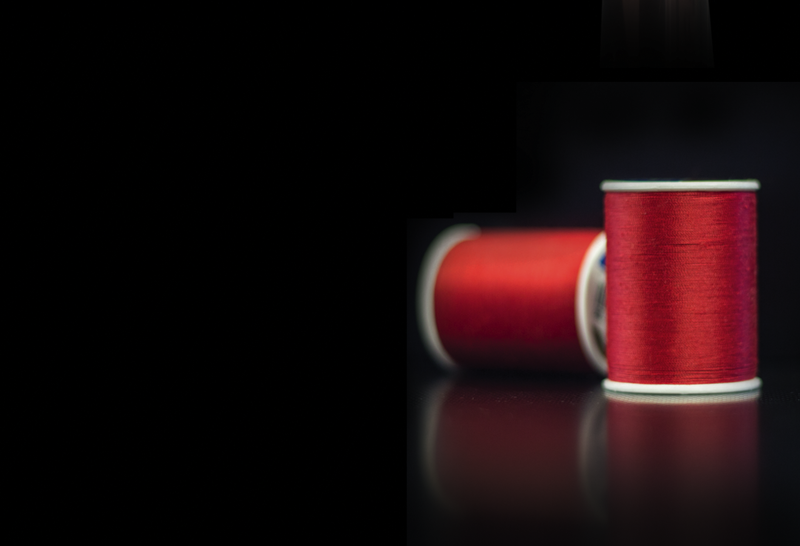 With this ancient tradition Studio Brow practices with an exclusive red thread. This red polyester covered, polyester core thread is strong and durable. Removing one line of hair at a time, our thread ensures top quality service performed by our i.B.R.O.W certified Browstars. Studio Brow’s signature red thread will continue making your experience second to none in the Cosmetic Ultralounge. 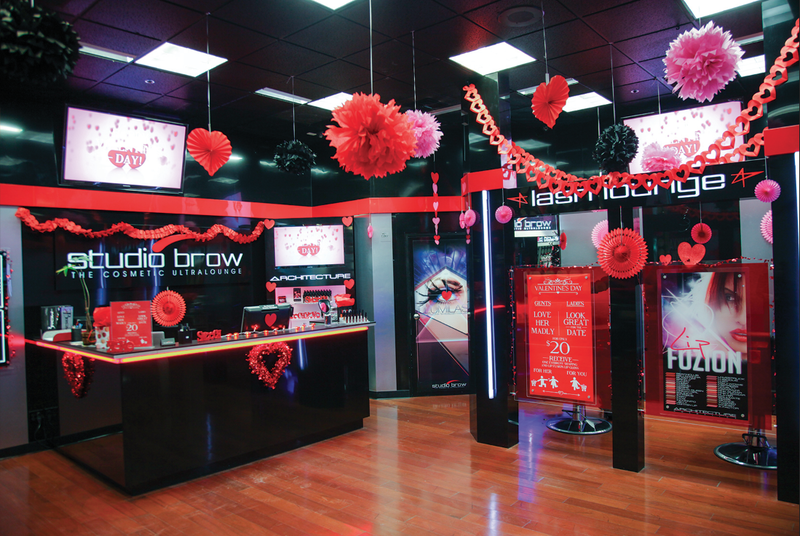 If you want to experience beauty like no where else, then Studio Brow, the Cosmetic UltraLounge is where you need to go. We take extra special care of our friends who visit with each service provided. Our Browstars, certified through our featured i.B.R.O.W Training Course, make your comfort their number one concern. Coming this weekend from the director of District 9 (2009) comes Elysium, an action-packed thriller starring Matt Damon and Jodie Foster. Elysium is an American science fiction action film written, co-produced and directed by Neill Blomkamp. It was released on August 9, 2013 in both conventional and IMAX Digital theaters. 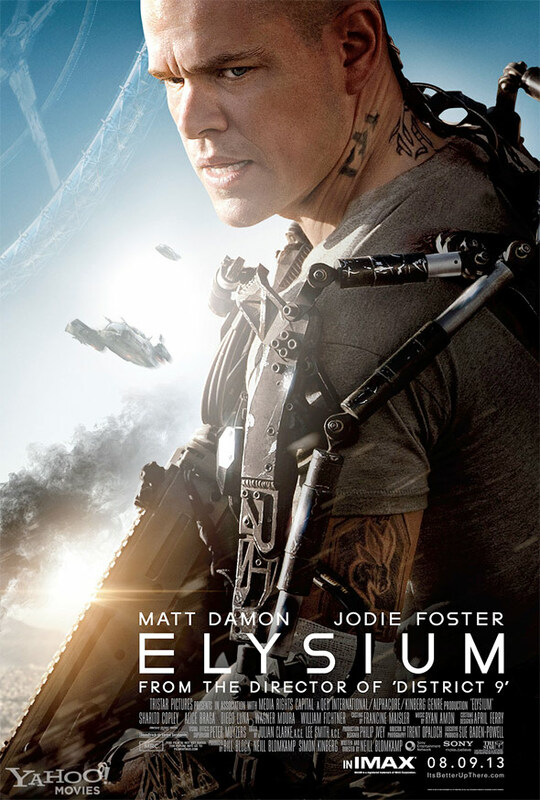 Elysium is a co-production of Media Rights Capital and TriStar Pictures. In the year 2154, the very wealthy live on Elysium, a Stanford torus high-tech space station governed by President Patel (Faran Tahir), in a utopian setting which includes access to private medical machines that offer instant cures, while everyone else lives below on the overpopulated, disease ridden, ruined, “Third World slum” Earth has become. Those who maintain Elysium will stop at nothing to enforce anti-immigration laws and preserve their citizens’ lifestyle, even destroying ships that attempt to get there. After an industrial accident exposes him to a fatal dose of radiation, 36-year-old factory-worker and ex-con Max DeCosta (Matt Damon) has only five days to get from Los Angeles to Elysium in order to be cured. Max straps into a powerful exoskeleton and attempts to kidnap a rich businessman (William Fichtner) in order to steal his identity and hijack his way into Elysium. This pits him against Elysium’s Secretary of Defense Delacourt (Jodie Foster) and her violent secret police forces, led by Agent Kruger (Sharlto Copley). Elysium re-unites Blomkamp with some of his District 9 crew, such as editor Julian Clarke, production designer Philip Ivey, cinematographer Trent Opaloch, and actor Sharlto Copley playing one of the film’s villains. In January 2011, independent studio Media Rights Capital met with major studios to present Elysium, and Blomkamp shared art designs of his proposed science fiction film. The art designs won over the executives at Sony Pictures, who bought the film after making a more attractive offer than the other studios. With a budget of $90 million, production began in July 2011. The film’s Earth-bound scenes were shot in a dump in the poor Iztapalapa district on the outskirts of Mexico City, while the scenes for the space city Elysium were shot in Vancouver and the wealthy Huixquilucan-Interlomas suburbs of Mexico City. Matt Damon shaved his head for the role of Max, and also worked out four hours a day with personal trainer Dr. Sae-ung. The main role was offered to rapper Eminem, but he wanted the film to be shot in Detroit. That was not an option for the two studios, so Blomkamp moved on to Damon as his next choice. The futuristic designs were executed by Philip Ivey after long periods of researching and studying older science fiction films. Ivey has continuously cited Syd Mead as a substantial influence for the film. Complicated visual effects were handled by Industrial Light and Magic and Image Engine, the latter of which collaborated on District 9. Re-shoots took place through October 2012. The film’s “organic” music score was composed by newcomer Ryan Amon and recorded at Abbey Road Studios with the London Philharmonic Orchestra. The Summer has been amazing and here at Studio Brow we invite you to come get beautiful with us on a gorgeous sunny day! Your beauty is our concern and we look to give you a shape that is no less than perfect. 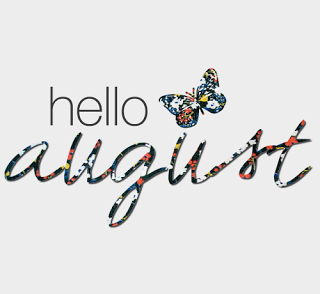 Enjoy the rest of your summer and we’ll see you again soon!